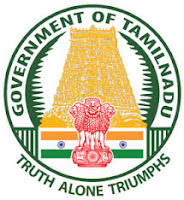 Tamil Nadu Public Service Commission - TNPSC published an official notification for Recruitment of Principal / Assistant Director & Assistant Engineer for 41 posts. Eligible candidates can apply for this recruitment. You can view more details about this recruitment including No. of posts, name of post, Educational qualification, Age limit, Selection process, How to apply etc... You can also view official notification and other important facts about this recruitment e.g. Important links and Important dates. Practical experience in a workshop or factory for a period of not less than three years. Practical experience in a supervisory or operative capacity connected with production of goods or material or operation and maintenance of machinery and equipments in a recognized concern for a period of not less than six months. Selection will be made in two successive stages viz., (i) Written Examination and (ii) Oral Test in the shape of an interview. Final selection will be made on the basis of the total marks obtained by the applicants in the written examination and oral test taken together subject to the rule of reservation of appointments. Applicant’s appearance in the written examination and oral test is compulsory.